Enspyre is for the third year in a row co-organizing the Dragons’ Chamber Pitch event together with the Canadian Chamber, Canadian Trade Office, Reach To Teach and Anemone Ventures. Now the 2018 Dragons’ Chamber Finalists are announced. This event was created to help highlight what foreign entrepreneurs in Taiwan are achieving AND help to raise funds. Over the last two years, some great companies have pitched on stage. Read more Dragons’ Chamber testimonials here. Here are the 2018 Dragons’ Chamber finalists. They are a very diverse group of companies from different industries and different locations along the company life-cycle. All of them need to raise less than NTD5,000,000 at this point and all have the potential to grow. Developed in Australia and manufactured in Taiwan, WRAPTIE™ tie down straps are a unique idea that was brought to market through the power of crowdfunding, social media, and e-commerce. What started as an idea more than 10 years ago, by serial inventor Paul McNeill, has now become the realization of a dream. Together with co-founder Mark Blackburn, Wraptie was launched successfully in 2017 on crowdfunding platforms Indiegogo (Japan) and Machi-Ya (Japan). Currently sold in more than 30 Countries worldwide, a backlog of new ideas and a several multi-national big box stores in distribution negotiations, Wraptie is about the hit the big time. 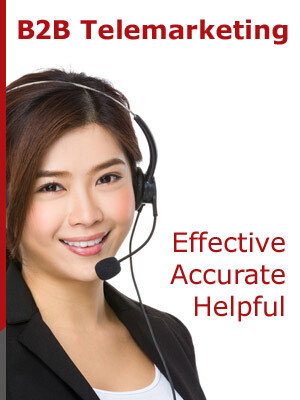 Englist is a top-tier, online English education and writing service based in Taipei, Taiwan. Englist endeavors to make practical academic writing more accessible for Taiwanese and Asian students. Targeting serious students with an interest in studying or working abroad, Englist works to instill critical analysis skills that, along with solid writing abilities, will allow students to be self-sufficient in their studies in the English-speaking world. Englist has a proven track record in making English writing skills relevant to junior high and high school students. Through Taipei Teen Tribune, Englist’s student-written news and opinion blog, Taiwanese students routinely offer advanced analysis of the topics most relevant to them. By employing top notch writing curriculum and developing world-class academic content, along with a robust digital marketing strategy, Englist plans to make its services available first island-wide in Taiwan, then around Asia. Registered in Taiwan, Arming Guild is a designer and vendor of equipment for sports fencing (modern Olympic sword fighting), and historical fencing (fighting with reproductions of historical European swords). Founded by director Jon Burke, and chief marketing officer Sven Horvatić, Arming Guild provides high quality protective equipment, and swords from some of Europe’s leading armorers, to an international market of around 300,000 historical and sports fencers. Arming Guild’s flagship product is Rearguard, a fencing mask with a unique patented design providing superior head protection. Rearguard is aimed specifically at preventing concussion to the back of the head, a recurring danger in fencing with few reliable solutions on the market. Designed in 2016 and launched in 2018, Rearguard has already received strong market support, with a 197% funded crowd sourcing campaign, and contracts with several retailers. 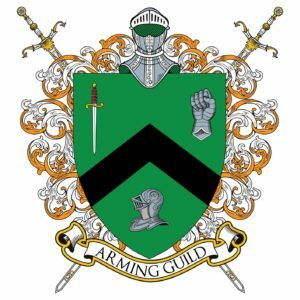 Arming Guild is now seeking investment for further product development and retail expansion. GoEco, is an innovative initiative with a mission to reduce plastic pollution through bio-based, single-use disposable eat-ware products. Our single-use disposables directly replace the currently used plastic straws and eat-ware for beverage and food consumption. Our disposables (like the bamboo straws and leaf plates) are made directly out of sustainable sourced plant parts and biomass. This allows for convenient disposal and accelerated degradation after their use, leaving a minimal ecological footprint. The start-up was founded in 2018 has gained upright interest from government, investors, and consumers for its key focus on solving the urgent plastic problem. In response to the rising demand for plastic alternatives, in the food & beverages sector, GoEco is moving ahead to bring its single-use disposables to consumers. By partnering with various restaurants and chain stores GoEco provides practical product designs, cost-efficient raw-material sourcing & production, and active marketing strategies. Currently in beta development, Crossroads is an experimental cross-lingual platform that connects global entrepreneurs and talent to services and resources in Taiwan and overseas markets. Powered by the technologies and human experts of the Wordcorp translation platform, Crossroads offers an effective solution for startups and SMEs to reach new markets through the localization, distribution, and analysis of content across integrated media channels.